Here at the office, we love warbirds! One of our all-time favorites is the Curtiss P-40 Warhawk. Forever connected with the name “Flying Tigers,” it remains a famous icon for the years just before the U.S. entered World War II. 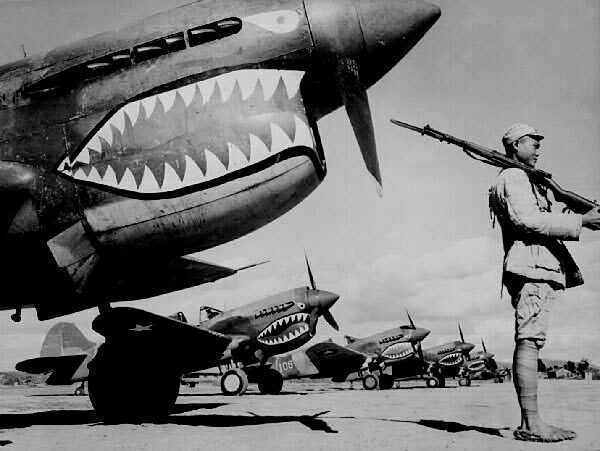 When it comes to WWII aviation history, one of the most often asked questions we have received is: how did the Flying Tigers get their name? “Before I left the United States in the summer of 1941, I asked a few friends in Louisiana to watch the newspapers and send me any clippings about the A.V.G. Now I was being swamped with clippings from stateside newspapers, and my men were astonished to find themselves world famous as the “Flying Tigers”. 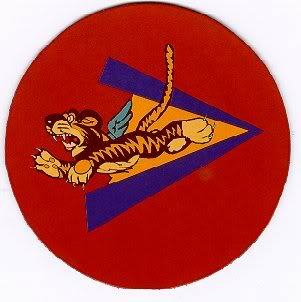 The insignia we made famous was by no means original with the A.V.G. Our pilots copied the shark-tooth design on their P-40’s noses from a colored illustration in the India Illustrated Weekly depicting an R.A.F. squadron in the Libyan Desert with shark-nose P-40’s. On July 4, 1942, the American Volunteer Group was disbanded and the USAAF’s China Air Task Force, commanded by General Chennault, officially took over air operations in China. In March 1943, the 14th Air Force was activated under Chennault’s command to replace the China Air Task Force. Chennault remained in command of the 14th Air Force until July 1945. 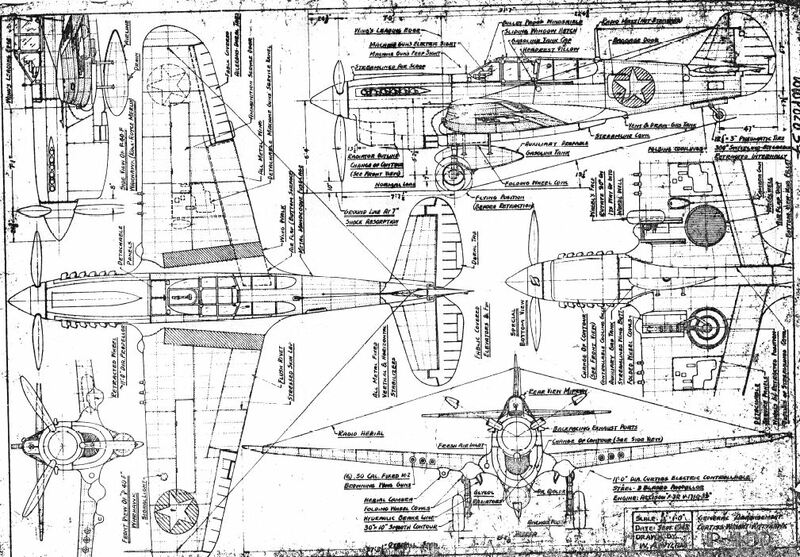 To download PDFs of the old Wylam P-40 Scale Drawings Click the links below.